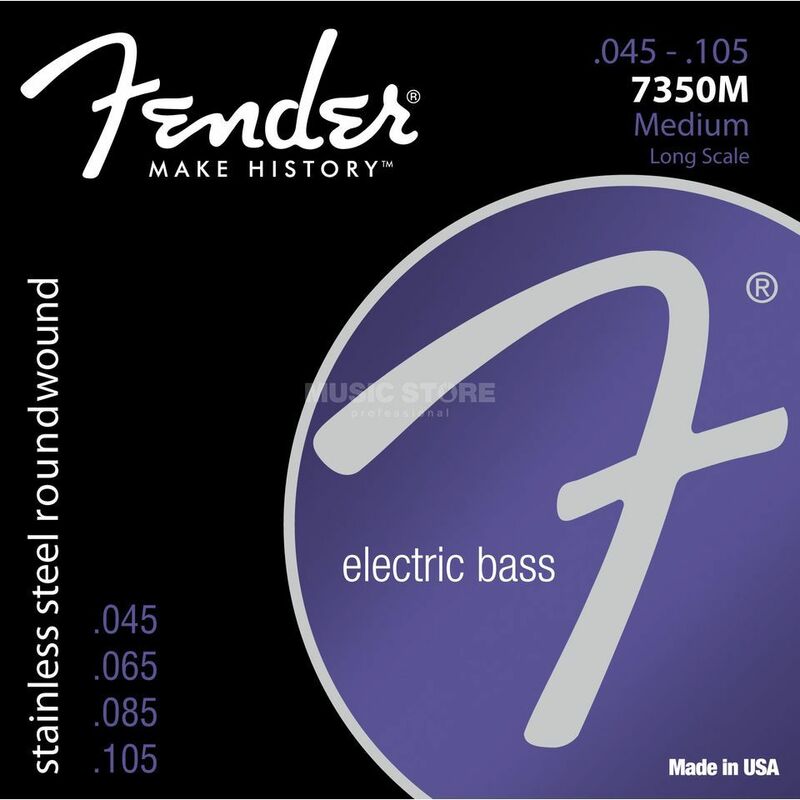 The Fender Stainless 7350's Bass Strings are 4 stainless steel, round wound bass strings.They deliver high output and midrange as well as deep lows. The strings do this whilst keeping all the tones crystal clear, making them perfect for anything from hard rock to slap bass. The string, being made from stainless steel, has a longer lifespan than most others on the market.